Krispy Kreme has long been associated with the more diabetic parts of the American Southeast. But Krispy Kreme U.K. has outdone the Yanks with the Double Hundred Dozen, which is exactly what it sounds like: a box of 2,400 doughnuts. My left arm hurts just typing that. 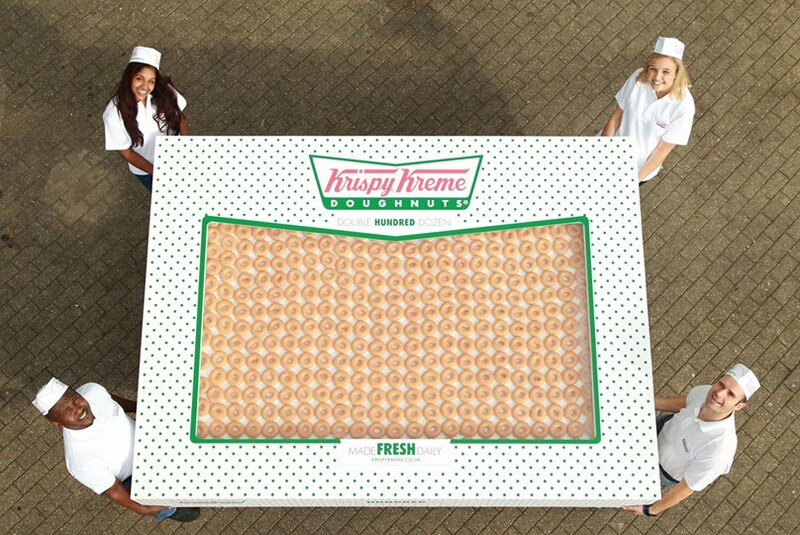 The box measures 11.5 by 3 feet and requires eight Krispy Kreme staffers to deliver it. So, no, it's not a regular menu item. Rather, it was a marketing stunt for the company's new catering service, and was given to a company called 360 Resourcing Solutions, which won a contest on Twitter. Hopefully it comes with a few copies of Heart Disease for Dummies and at least one 99-pack of Peacemaker Anytime Ale.